The standard base V6 is great for light hauling, and the V8 option makes heavier loads a piece of cake. Thanks to the available turbodiesel, the Dodge Ram 1500 gets a class-leading fuel economy with plenty of strength when it comes to towing. It also gets a thumbs-up on the ride quality considering its better than most trucks have to offer, but that’s typical for its class. The 2017 Dodge Ram 1500 is available in 11 known sizes and trims, with the base Tradesman’s MSRP at around $26,000 all the way up to the Limited which is priced at around $53,000. The Tradesman comes standard with a V6 engine, rear-wheel drive, can seat up to two people, has vinyl upholstered seats, and a six-speaker audio system with a USB port. In terms of size, its dimensions come in at approximately 79.4″ for overall body width, 74.4″ in height, and 231″ in length. There are several exterior performance features that come available with the base Tradesman trim and up, including optional additional features. The Rambox® Cargo Management system is more than just a toolbox, it’s conveniently lit, secure, durable and drainable storage system that’s innovatively combined with the side rails of the trunk bed. You can also lock and unlock the cargo box with the AllSecure® Remote Security system. Standard on all models including diesel vehicles, the Active Air® Grille Shutters open up to cool the engines to prevent overheating. When on the highway, these shutters automatically close so as not to drag the vehicle and improve efficiency. Additional exterior features include the tonneau cover which aids the movement of air over the body, a versatile keyless entry key fob, and wheel-to-wheel side steps to improve aerodynamics and performance and make access to the truck bed easier. The interior presents many high tech displays and systems for a more enjoyable and easygoing drive while on the road. You can be in control with the Command Center where with the available UConnect® System, your truck can both be a mobile office or an entertainment system. The UConnect 8.4 NAV offers features such as interior climate control and 3D terrain maps. To make sure you’re in complete control, the system also offers voice command and steering-wheel mounted buttons. To view your truck’s performance clearly, the Multiview dial cluster with a 7-inch color display helps you do just that. 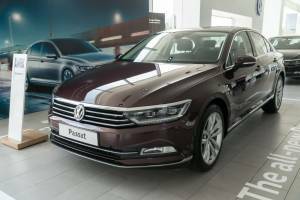 Some luxury options consist of vintage metalwork inspired instrumentation, refined quality leather trim choices for seats and stitching, real wood accents, and a Class-Exclusive Rotary E-Shift. You can tow with confidence with the Dodge Ram 1500’s advanced characteristics like hill start assist, an integrated trailer hitch, and trailer sway control. Hill start assist can detect when your vehicle is on an incline, so it makes sure your truck doesn’t roll backwards when your foot is off the brake. The integrated trailer hitch connects the truck frame to your trailer in order to ensure a secure connection. Trailer Sway Control (TSC) can detect when a trailer sways and automatically takes action to apply individual wheel brakes and/or reduce engine power to help prevent swaying. To the driver’s benefit, the Ram 1500 is fully equipped with some of the most advanced safety and security mechanics. From front to back, the truck has dynamic front crumple zones designed to take the worst from any impact, helping to keep the driver and passenger safe. The Electronic Stability Control helps the driver stay in full command in dangerous conditions with rain brake support, brake assist and Ready Alert braking. Furthermore, the side-impact door beams are engineered to absorb heavy impact force from any given angle, and towards the back of the truck, the four-wheel disc antilock brakes help avoid wheel lockup during situations where you may have to break suddenly on slippery surfaces like ice. This fortunately comes standard on all Ram 1500 trucks. Some more safety features are the AllSecure® locking system, Parkview® rear back up camera, and Parksense® front park assist system. The 2017 Dodge Ram 1500 ranks at #2 out of 5 with its competitors in its class of full size pickup trucks. It received an overall 8.8 out of 10 points regarding reliability, safety, interior, and performance along with critics’ rating. 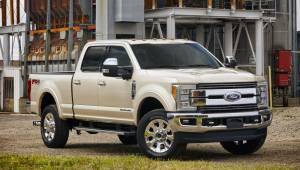 While it is able to please drivers with its powerful engines, smooth ride, and quality interior, it placed just a bit lower than the 2017 Ford F-150 in terms of safety by almost two points and slightly above the 2017 GMC Sierra 1500. Otherwise, it still is a popular pickup truck among many and has even been named the prestigious Full-Size Pickup Truck of Texas by the Texas Auto Writers Association (TAWA) for two years in a row. The Ram 1500 has multiple engines and transmission configurations to choose from. The 3.6L Pentastar® V6 engine has 305 horsepower with 18 city mpg and 25 hwy mpg. The legendary 5.7 Hemi® V8 engine with fuel saver technology has 395 horsepower with 15 city mpg and 22 hwy mpg. Lastly, strength meets efficiency with the 3.0L Ecodiesel V6 engine produces 240 horsepower with 21 city mpg and 29 hwy mpg, which makes the turbodiesel Ram 1500 one of the most fuel-efficient models in its class. 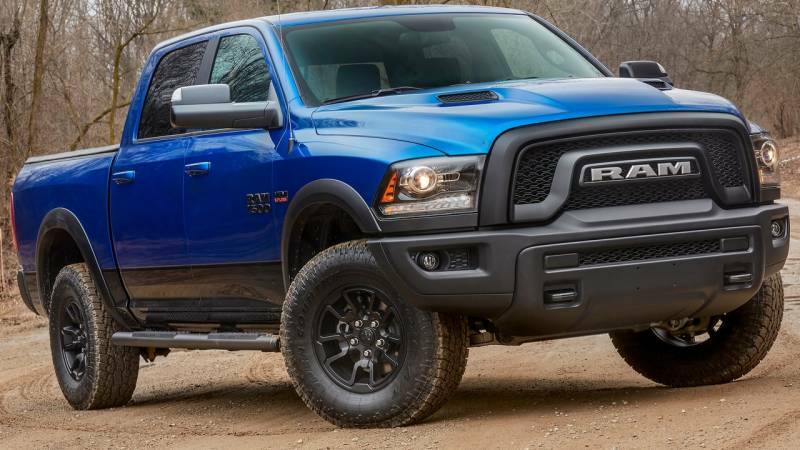 What’s mainly liked about the 2017 Dodge Ram 1500 is its excellent fuel economy with a turbodiesel engine, its smooth and comfortable ride, first-rate interior materials, storage options, and neat UConnect 8.4 multimedia system. Additionally, it seems the rotary knob was favored since it enabled operation without having to look, not to mention it took up little to no space providing plenty of room on the console. What wasn’t very favorable were its lower towing capacity than its class rivals, the air suspension’s ride when towing, no collision warning features, and no Apple CarPlay or Android Auto options. Also, while none of the full-size pickup trucks are small on the inside, the Ram is a bit shy of legroom, especially the crew cab’s backseat. Other than this, the 2017 Dodge Ram 1500 remains a satisfying truck in many ways that have been mentioned.